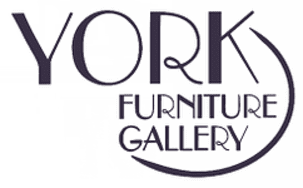 A contemporary collection that has elements from the past, but the look and function of today. Constructed of hardwood solids and walnut veneers, the finish is a warm cognac accented with round brass knobs. Design features include a matchstick walnut veneer pattern. Add modern style to your dining décor with this beautiful rectangular table with trestle bottom and upholstered chair set. Crafted from poplar solids and rustic birch veneers in a hazelnut finish, the sleek simplicity of this dining set is evident throughout. The table extends from 84 inches long to 100 inches with one 16-inch leaf. Along with providing a comfortable seat at the table, the coordinating upholstered side chair will give your dining area a laid back, contemporary feel. 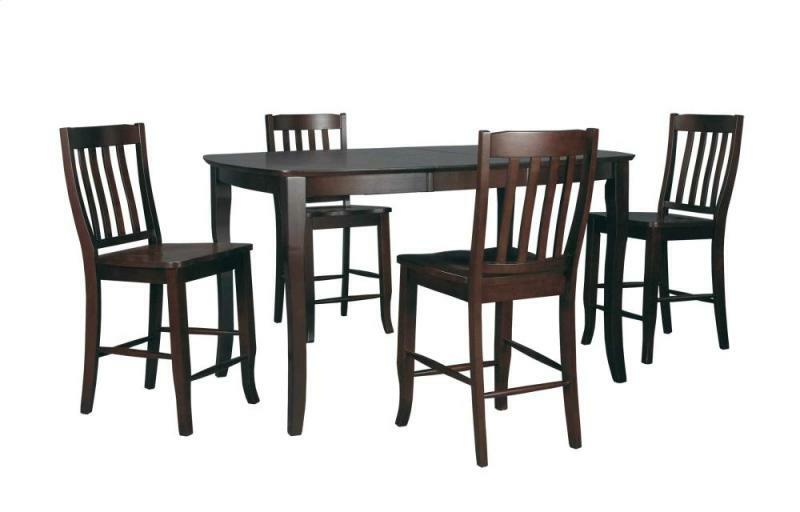 Complete your dining decor with this stylish dining set. 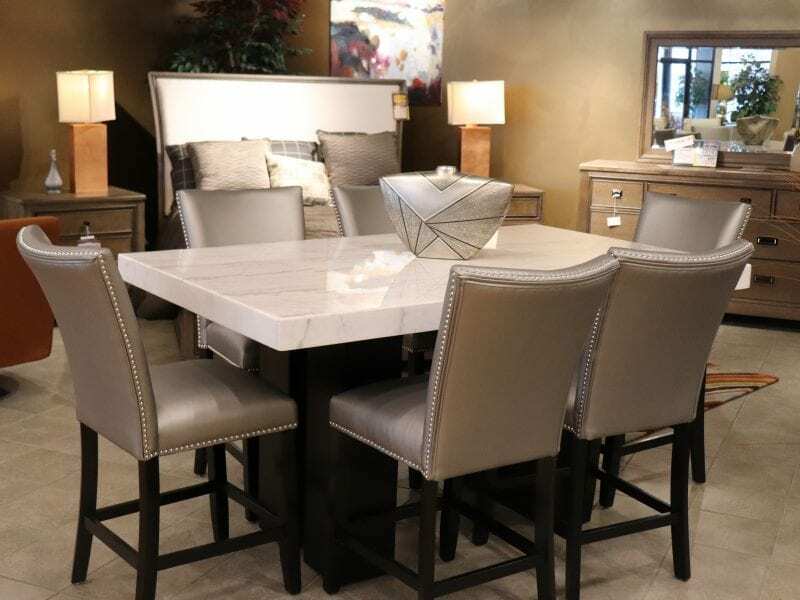 Furnish your dining room in timeless style with this Bedrock marble dining table. Its eye-catching, patterned marble top will add ambiance while also providing a gorgeous centerpiece for your room. And with clean lines and a versatile espresso finish, this table’s neutral styling will work beautifully with almost any decor.